This stunning loft study furniture design features a painted finish with contrasting oak veneer desktops creating a stylish and functional environment. The study furniture is built around the original attic beams, illustrating the flexibility of Neville Johnson bespoke fitted furniture. And with stylish storage solutions from open units and file drawers to cleverly designed cabinets for all your office equipment – there is a place for everything. Adding frosted glass fronts to the built-in cabinets gives a contemporary look without the need for the contents to remain picture-perfect. Working with the original beams of the loft, this attic furniture has been designed to fit neatly around key architectural features for a polished finish. This bespoke office design features Avalon doors, Neville Johnson’s exclusive design, shown here in contemporary walnut and white. 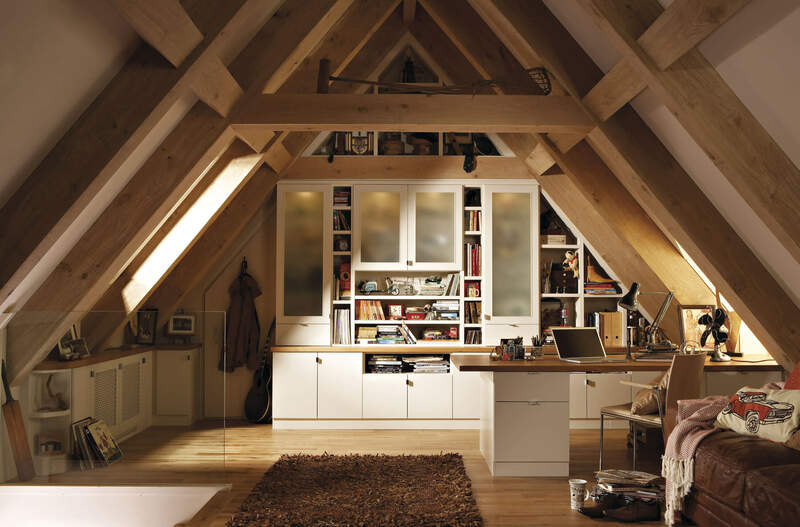 This spacious study incorporates a small study area that can be neatly hidden away when not in use. 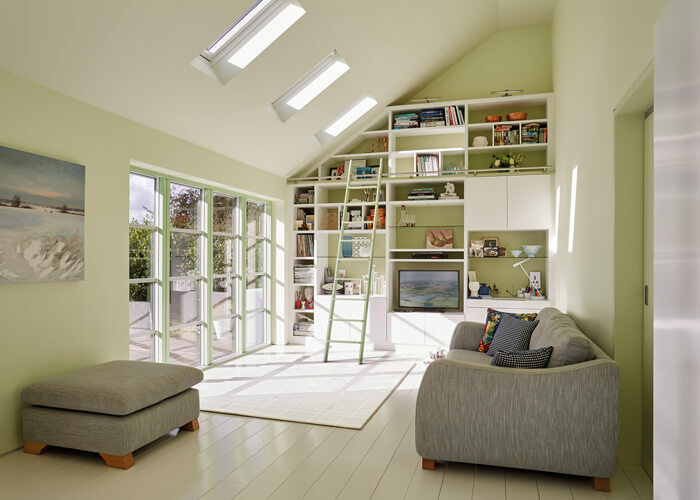 This innovative fitted furniture solution converts a previously unused area under the staircase and transforms it into a stylish home study area. The flexibility of this luxury home study furniture design allows you to create a room that is unique to you.